This precise connection of our mind with the quantum field is the key factor in the Law of Attraction, as well as the implementation of the idea through the higher dimensions of existence with an equal force and permanence, in order to achieve it on the physical plane. This book, in other words speaks of how to be complete and stable in our intention to achieve something, but complete in all dimensions, not only the sensual and material one. From the formation of the idea (mental body) through the investment of energy (energetic body) and imagination (astral body) to providing physical conditions for the idea to be realized. You are most likely familiar with many how-to-succeed-in-life tips, or the law of attraction, which are all correct, however most of them are based on using consciousness and energy as though they were common knowledge, like we are completely one with the nature of reality and the influence of thoughts on this reality in terms of implementing the law of attraction. It is due to this sad fact why many people have not been very successful in their techniques. Here we will get acquainted with the nature of objective reality, consciousness, and thoughts using the knowledge and experience of quantum physics and the Cabal, however not their abstract theories, but just the basic, practical principles, in order to use this knowledge in a much more efficient way to succeed with the law of attraction in our everyday life. In all esoteric traditions the nature of reality gets described using these elements – earth, water, fire, air. These elements symbolically represent the dimensions of reality. Cabala possesses the most detailed description where these elements are depicted in the teaching of tetragrammaton. Tetragrammaton is a four letter word JHVH made up of the Hebrew letters Yod, He, Vau, He. This formula, JHVH, represents the four-pole principle of the universal creation of the world through the four elements: earth, water, fire and air. At the same time, it represents all the dimensions of creation, the four dimensions of reality by means of which everything in nature gets manifested and materialized, starting from information down to the rough material form. Man is actually a microcosm, that in a man’s being there are all the big cosmic laws and principles condensed; man is the cosmos in miniature. Air, fire, water, and earth symbolically represent the universal principles of the process of emanation of everything. Different dimensions of consciousness in a man’s being can be divided according to the elements in the following way: The pure presence of the consciousness and alertness belong to the element of ether (akasha). The element of air marks one’s inspiration and ideas, thoughts, and mental patterns. The element of fire is an area of mental activity, exchange of ideas, preparation and assertion of energy for their realization. Water symbolizes the area where from a multitude of possibilities one specific idea is chosen and with the emotional empathizing it is maintained in one constant, concrete, and visible form for focusing the energy, which, eventually, gets realized on the area of earth as the physical experience. Only with the deeper understanding of the dimensions of reality and the principle of tetragrammaton can you begin to realize why it is so important, what the meaning and the wider context of the impact of thoughts, desire and imagination in the process of materialization of every idea is. Man’s being is the tetragrammaton. Universe creates and becomes aware of itself in all its dimensions through the man’s being. The message in this book is absolutely so true. Once you realize you are in control of your mind, you can use that power to take back your life. Whether it be your health, your relationships, your job, etc, you can create your present to obtain your future goals. Great quick read! "Excellent little handbook really illuminating and interesting. Enjoyed reading and with so much info to digest will keep re reading I'm sure." "The book is an excellent study of the process of realization that humans carry as a multidimensional beings. The author describes the physics and the principles which explain these functions in a comprehensible, popular science manner, as well as the place, the meaning and the significance of our human existence in this scenario. There is a detailed, practically oriented part, which describes the work at different levels. You should study the book instead of just reading it so that you can understand the context and apply it in your everyday life. Highly recommended, especially to get a more thorough,comprehensive understanding of the existence." "This book truly has powers to inspire, motivate and change your life completely. If you want to shape your goals, to find the most effective ways to avoid all obstacles, develop your creative potential, do not hesitate to open the first page of this amazing book." 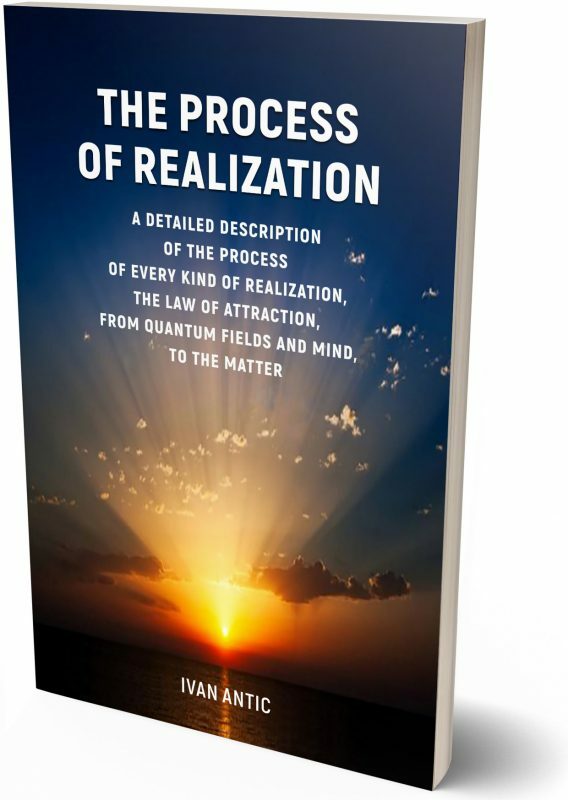 "This is a great book packed with easy to follow advice from a truly wise man who obviously has an insight in the objective consensuses and is willing to share his knowledge with the world. Definitely worth your while, especially if you like simple, practical words of wisdom, you can apply in your everyday life." "This is not one of those books that will leave you wondering what is it that you just read. It is a book that will give you an insight into the deepest parts of a man's being, in a different, unconventional way. The book is short, but the true essence of the message it wants to send is becoming clear just after a few pages. You just have to know how to read it, or better how to study it." "This book is written simply, articulately, at a steady pace, and is a compelling read for those who are interested in life and the universe. I have an affinity for literature which enables me to learn something new and intriguing, which I assuredly did here!" "This book is pretty deep. It starts by explaining the foundation of human beings, then it moves on to explaining how to bring all human elements together for peace and actualization. We all spend so much time focusing on the mental or the physical or the world around us, but we so often forget that we have to bring the all of these into alignment." "One of the major areas Ivan Antic pointed out is the reality that no single man can alienate himself from the totality of nature. Man himself is a microcosm of nature; he possesses energy and matter in the same manner as the universe. However, until he comes into the full apprehension of what lies within him, until man comprehends that consciousness is truly the foundation to every achievement." "I am so blessed I have read this book...It's a game changer..."
"This is so full of information which will tell you so very much about the things around you. it will have you see things in a very different light and may even help you achieve so much more out of your life."